No Falling Allowed is fairytale story that effortlessly collides two completely differently lives and I just adored it. The story follows Noah and Grace, who happen to meet by chance in NYC and from there the story just takes off. I absolutely loved both of our main characters. Grace, who comes from money and is crazy confident has to learn how to grow into her own person. Then on the other side there's Noah who knows exactly who he is and has the biggest heart you'll ever see on a man. Watching these two lives intertwine just made not falling for them (pun intended) impossible. 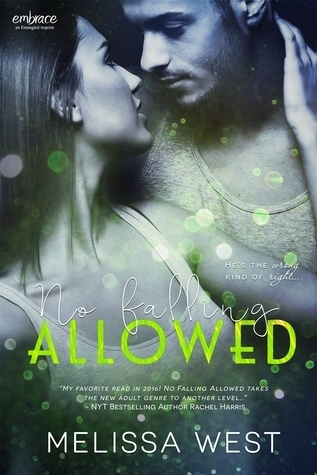 Overall, No Falling Allowed is a fast-paced, enchanting story that you can't help but loving while you read. 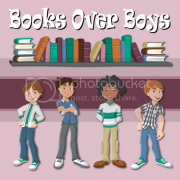 I have loved Melissa West's books in the past and this one is no exception. If you are thinking of giving this one a shot, definitely do!